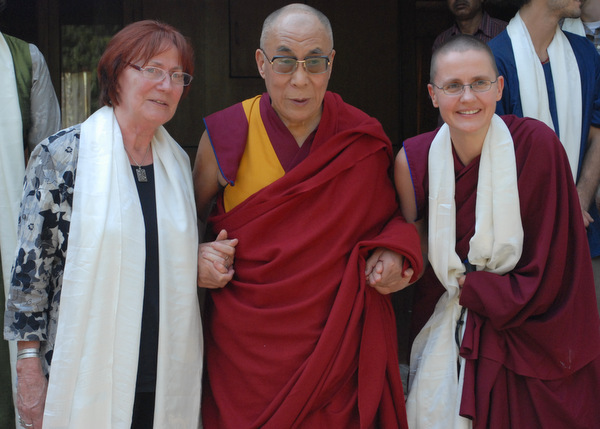 His Holiness the Dalai Lama with Geshe Kelsang Wangmo and her mother, Dharamsala, India, April 2011. Photo courtesy of Geshe Kelsang Wangmo. Geshe Kelsang Wangmo, a native of Germany, became the world’s first female geshe, signaling a new era for nuns. In her interview with Mandala, Geshe Wangmo talks about what brought her to a geshe program, her experiences there, and what’s in store for her future.